I had the privilege of pre-ordering this back in August and had months to freak out over the size. “Would it be too small?” “Would it feel imbalanced in my hands?” I am grateful to say that while it is compact, it is not small! 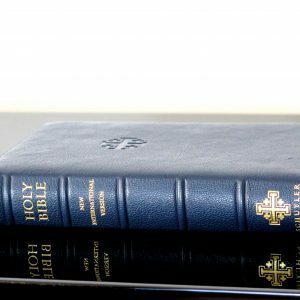 It sits wonderfully in my hands and unlike it’s bigger counterpart, there is no fatigue in holding the Bible. 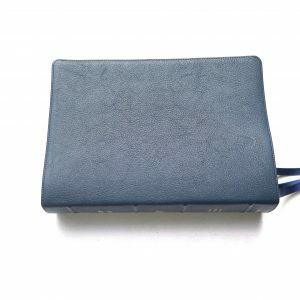 For those that already own a Quentel, you will open this and immediately KNOW this Bible. 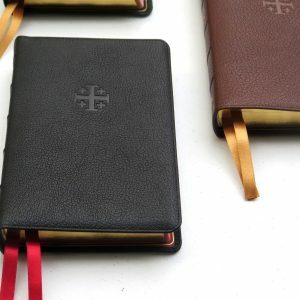 I can hold this Bible at a good arms length and easily read it, both because of the type and because of the familiar design. 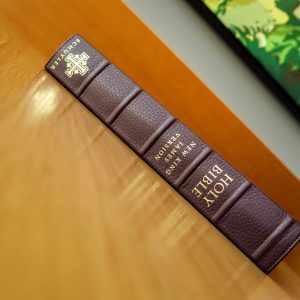 Of course, the aesthetics of this Bible also warrant attention. 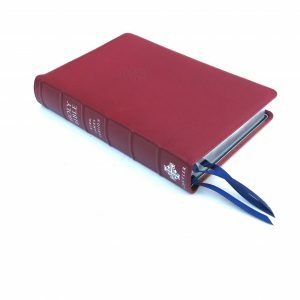 The goatskin is immaculate, the interior red liner is incredibly eye catching. The paper, being at 28gsm, doesn’t lose a single thing in terms of ghosting or readability. It’s just as good as the Quentel in that respect. And, for the first time in my Schuyler buying experience (I gratefully and proudly own 4), this edition is the “yappiest” of them all! This is quite an achievement and worth every minute of the pre-order wait and every dime that I spent. 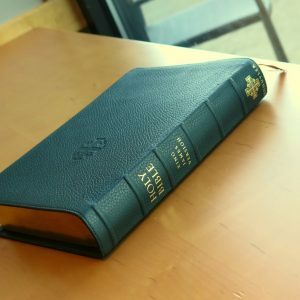 Thank you Evangelical Bible and Schuyler for such an excellent and attractive edition of God’s Word! 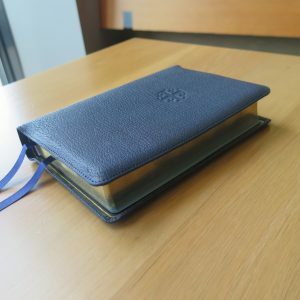 I own the personal size Quentel ESV and am very happy with that Bible which I rated 5 stars. 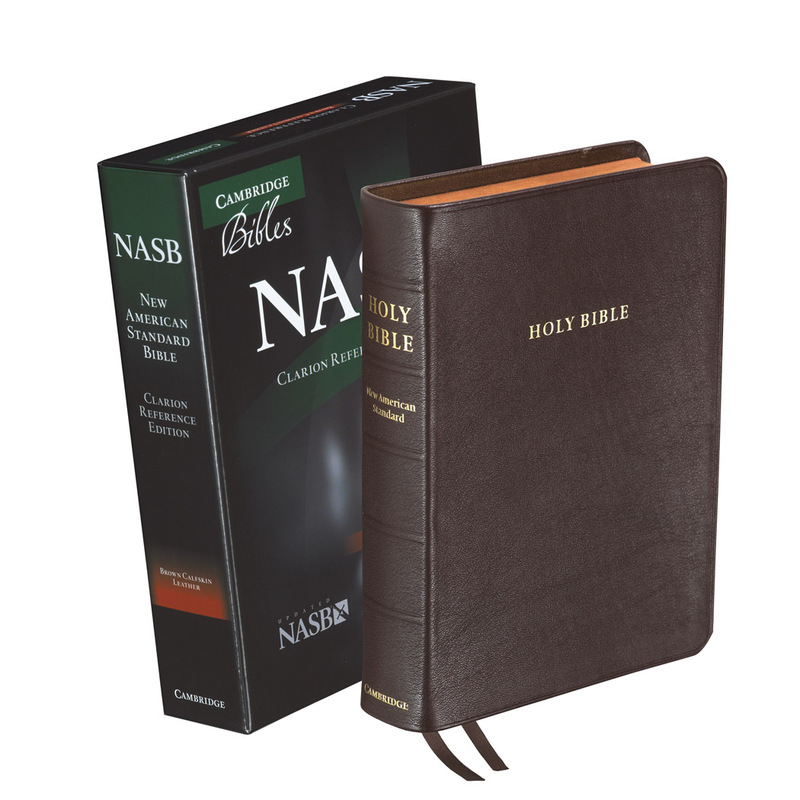 So my expectations were very high for this Personal Size Quentel NKJV and while its a beautiful Bible there are some noticeable shortcomings when compared to the personal sized ESV. First of all the printing is more uneven in this Bible, particularly the red letter portions. While it is dark and bold in many places there are pages where it is really washed out and faded. Page 1301, for example, which includes Matthew 15: here the red letter is quite faded. 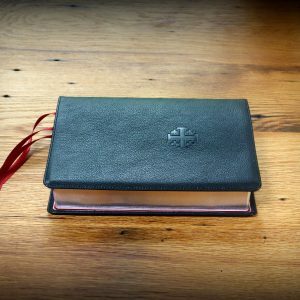 Yet I might add that the print of this Bible- both red letter and black letter- is more consistent than the two premium Cambridge Bibles I own, so I am not entirely frustrated with it. Yet still there is a second thing that disappoints me: a wrinkled horizontal crease in the paper, which mars pages 757 to 770 of the Book of Psalms. 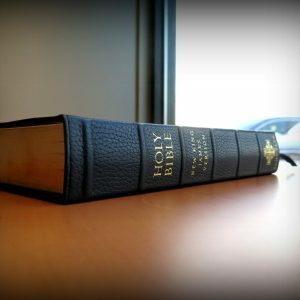 Otherwise, I agree with the many good points people have made about this Bible. 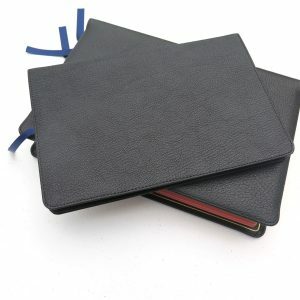 The conservative black goatskin is nicely complimented by the red liner. The print is highly legible for the size (even on the few pages where the type is fainter). 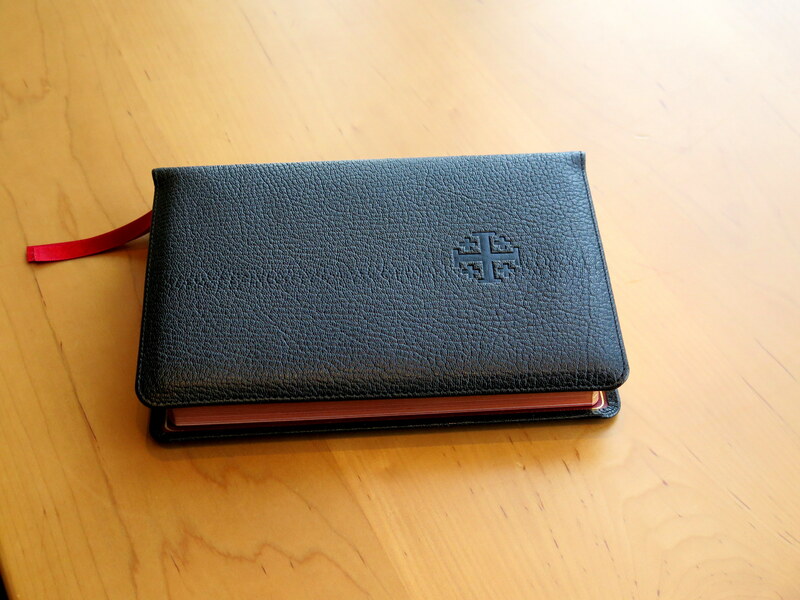 The layout is attractive and text block is secured nicely into the Smyth Sewn book binding. I wish I could give it 5 stars, but because of the afore mentioned things, I am giving it less.